I’ve added a new header to the site, based on an Ogham design, spelling out the above in Ogham Unicode (U1680). Unfortunately, there’s no letter ‘Y’ or ‘V’ in the Ogham alphabet, so I’ve had to substitute. There are horizontal and vertical variations of the language. Try this Ogham translator here! Also, working on a new ‘MG’ logo. I’m playing with the idea of a 3D cube with the ‘M’ and ‘G’ carved out of stone. 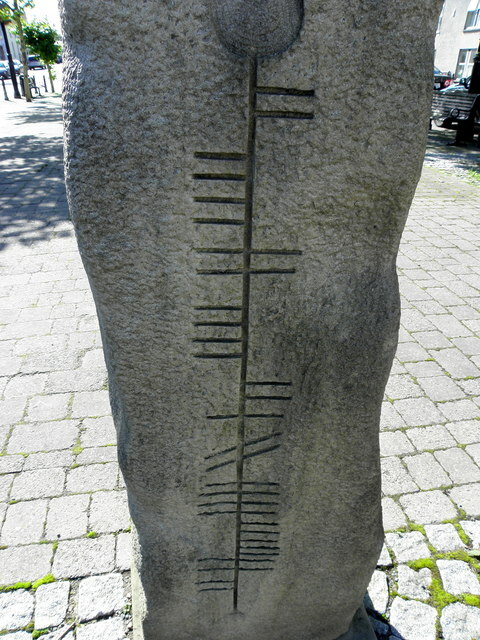 The picture of a modern Ogham stone in Lifford, Co. Donegal below (which spells ‘DONEGAL CO CL’), is what gave me the idea. I’ll post up some concept work and renderings later this week.